(Download) UPSC IAS Mains Exam Paper - 2017 : Geography | IAS EXAM PORTAL - India's Largest Community for UPSC Exam Aspirants. Illustrate your answers with suitable sketches/maps and diagrams, wherever considered necessary. These shall be drawn in the space provided for answering the question itself. Q2. (a) Discuss the forces which govern the air movement on the Earth's surface. (b) “The knowledge of slope analysis has limited field application in the slope management.” Explain. (c) Describe the configuration of the Pacific Ocean floor. Q3. (a) "Climate change is a reality.” Explain with suitable examples. (b) Distinguish between the characteristics of Chernozem and Sierozem Soils. (c) Give a classification of plants based on the amount of water requirement. Q4. (a) Discuss the concept of Periglacial cycle as propounded by Peltier. (b) "Climate, slope gradient and rock structure influence the avulsion of channels.” Explain. (c) Discuss the Perception, Attitude, Value and Emotion (PAVE) Theory of environmental management. (b) “Whittlesey's agricultural regions are relevant even today.” Discuss. (d) “The traditional cultural identities are at loss with the growth of global connectivity.” Explain. Q6. (a) Discuss the contemporary paradigms of Geography. (b) "The intensity of energy crisis varies regionally.” Explain. (c) Examine the causes and consequences of forced migration of population in the present context. Q7. (a) Discuss the applicability of Christaller's Central Place Theory. (b) “There are considerable demographic similarities between West European nations and Japan.” Explain. (c) Define the quality of life and explain its parameters with adequate examples. Q8. (a) "The Heartland Theory is gaining importance once again". Comment. (b) Examine the role of small towns in the regional development process. (c) Explain the concept of social capital in relation to India. (b) Give a reasoned account of unusual pattern of distribution of monsoonal rainfall in India in 2017. (c) Explain the inter-State issues involved in implementation of the Satluj-Yamuna Link Canal Project. (d) Small towns in India have problems and prospects of their own. Elaborate. Q2. (a) Discuss the freshwater crisis in India and prepare a blueprint for its sustainable management. (b) Identify the Naxal-affected areas in India and discuss their socio-economic problems. (c) Critically examine the feasibility of development of a comprehensive network of airways in India. Q3. (a) "An effective three-tier Panchayat Raj System will strengthen the bottom-up approach to multilevel planning in India.” Explain. (b) “Linguistic diversity is an asset as well as a challenge in India." Explain the statement focussing on the distribution of languages and the major steps taken to address the related issues. (c) How may tourism in hilly areas of India be developed as an important source of economy? Q4. (a) Mention various methods of functional classification of towns in India and explain the method applied by Asok Mitra. (c) Land reform is a key to modern agriculture in India. Describe various measures taken in this direction after Independence. Q6. (a) Interlinking of rivers may serve as a major source of assured irrigation and all-weather inland navigation in India. Comment on its feasibility taking into account physical, economic and ecological implication. 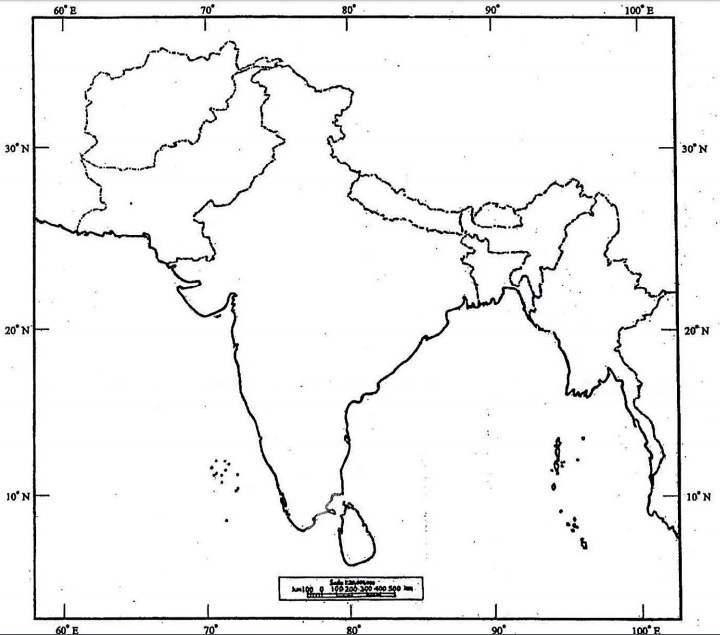 (b) Religious minorities are largely concentrated in border States of India. Discuss its causes and consequences. (c) What do you understand by soil pollution? Delineate the areas vulnerable to it in India and suggest remedial measures. Q7. (a) Integrated development of road and rail networks in a complementary framework is a prerequisite for regional development. Explain with reference to North-Eastern Region of India. (b) Describe the salient features of Sagar Mala Project and highlight its role in port-led development of coastal regions in India. (c) Justify the inclusion of Meghalaya in Peninsular India and discuss its vegetation and soil types. Q8. (a) Name the major industrial regions of India indicating the bases of their identification. Highlight their basic problems. (c) Why has solar energy in India not been developed to desired level in spite of its high potential?